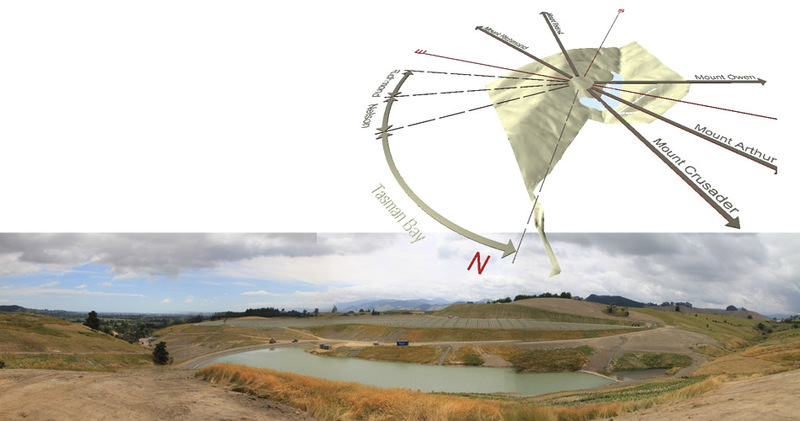 This ongoing project involves the master planning of a large rural property with substantial earthworks forming a new 14 metre high dam forming a large lake, terraces for a vineyard, significant re vegetation of local Totara and numerous walking and running tracks. 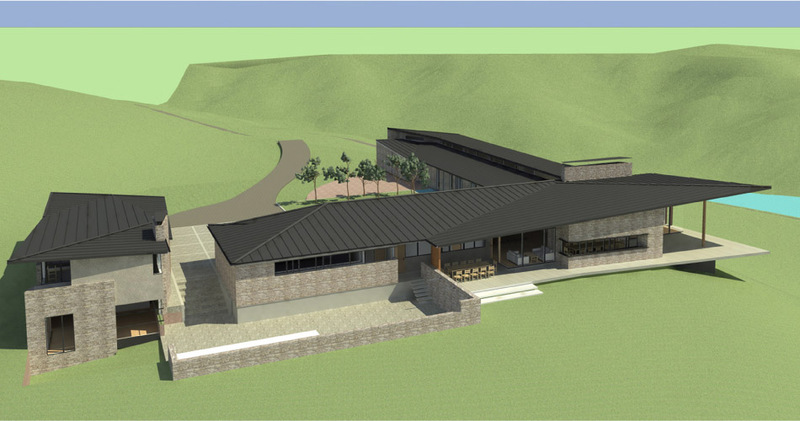 Three key buildings have been designed, including a lodge, bunk house and vineyard service building, the later being recently completed. 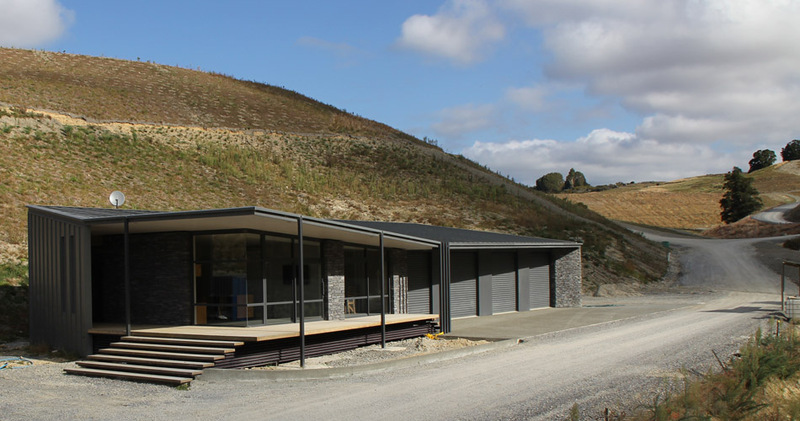 The design of the buildings feature sweeping roof overhangs with zinc roofing and angular buttressed walls of west coast waitaha schist.